Car Insurance Scams – Yep, They’re A Thing! Buying a car can be a minefield of a purchase. A car should be able to get you from A to B with your job or your family in one piece and in as much comfort a possible. If you are finding it hard to buy a new car, then grab someone knowledgeable about used cars and head to your local dealership. Getting the right advice from a trusted friend is a better idea than trusting a dealer you have never met. While we are on the topic of trusting people you have never met, you need to consider where your car insurance will be coming from. Car insurance is a big deal. You are legally not allowed to drive a car without it, so it makes sense that you do research on the car insurance that you need and how covered you want to be before you go to buy a car. Doing this can ensure you are informed and making the best decision for you, while avoiding common – and unfortunate – car insurance scams. Fraud is the second most common crime in the USA involving finances, and car insurance scams are a big factor when it comes to fraud. Getting into a car accident and being injured is bad enough, but when you add in the process you go through with Mirian Law to get the justice that you deserve, it’s a big deal. And all you wanted to do was buy a new car and insurance. 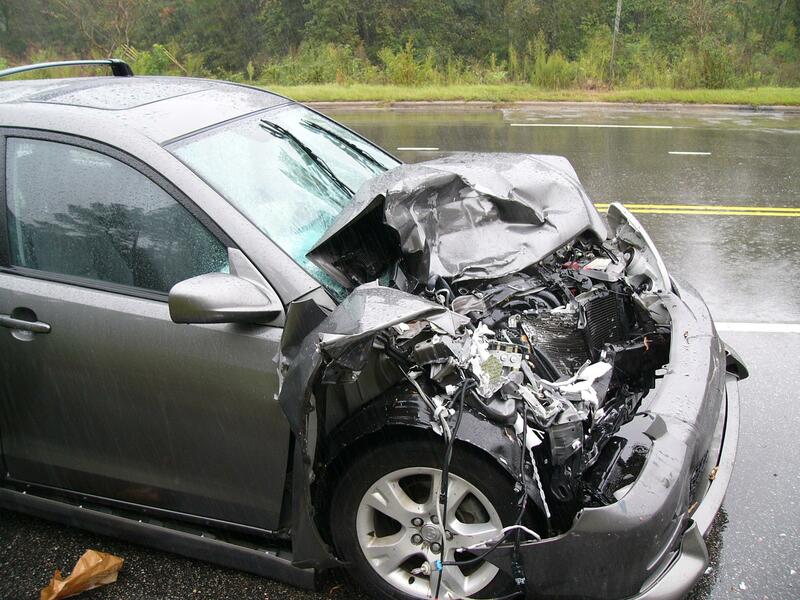 Car insurance scams make law-abiding drivers the victim. They do nothing good, and only creates bad driving records, huge premiums and legal headaches that you can really do without. Buying a car and all that comes with it should be a pleasant and exciting experience. It’s other people that can ruin that for you and all you need is to be informed and vigilant about the potential scams out there. Insurance companies deal with both real and bogus claims every year, and we’ve put together some of the most common insurance scams and how you can avoid them completely. The rules of the road call for drivers to be a safe distance from each other at all times to avoid rear-ending the driver in front. Crash for cash scams – also known as the swoop and squat – happens when someone wants extra cash from insurance companies that they are not entitled to. Scammers slow right down at an intersection or traffic, causing a driver to crash into them from behind. Rear-endings are almost always the fault of the driver from behind, but when it comes to a crash for cash, this is the victim. Avoiding this means never getting too close to other cars, and where possible sticking to the speed limits so that you don’t go too quickly and avoid stopping in time. Some scams happen after an accident. If you’ve been the victim of an accident and are standing at the side of the road waiting for the emergency services to come to you, you may find yourself approached by someone you have never met, claiming to be a third-party insurance official who has witnessed the accident and hands you a card with a health clinic name stamped onto it. You may never have heard of this clinic, but in the moment, may think it’s a good idea to contact them – after all, someone witnessed what happened. 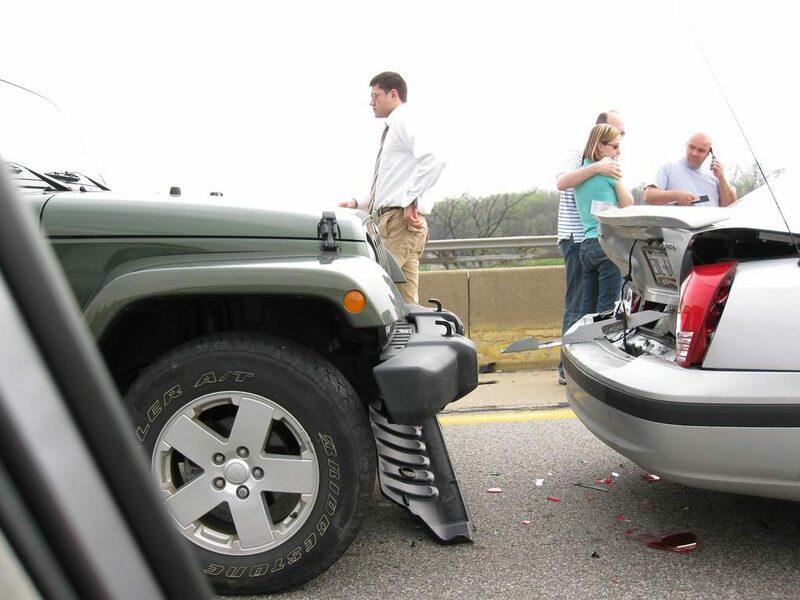 To avoid this, you need to focus your efforts on dealing just with your insurance company and no one else. At least this way, you can ensure that everything is above board and legit. Your Mom was right – never talk to strangers! This doesn’t just happen with rear-endings, so be aware of this as much as possible. If you get into a minor bump and the other driver appears normal until the police or the ambulance arrives, then all of a sudden, claims back or neck pain, you could be being scammed. X-rays rarely are able to show whiplash and they can’t show phantom pain, either. Scammers won’t expect you to file your own police report, nor will they expect you to fall for their act. Be vigilant and if you file your police report on the accident, your insurance company will be far less likely to believe the scammer suffered serious injury, if any at all. We’re not referring to the dead here, we’re referring to someone who witnesses a bad car crash and then phones in to your insurance for a claim by simply eavesdropping in on your conversation with the other driver. This is a scam known as ‘phantom victim’. You won’t notice them at the scene, but they were there and that’s how they got your details. There’s also a chance that a scammer driver claims for non-existent passengers in their car, leaving your insurance premiums through the roof while you deal with your own injuries. 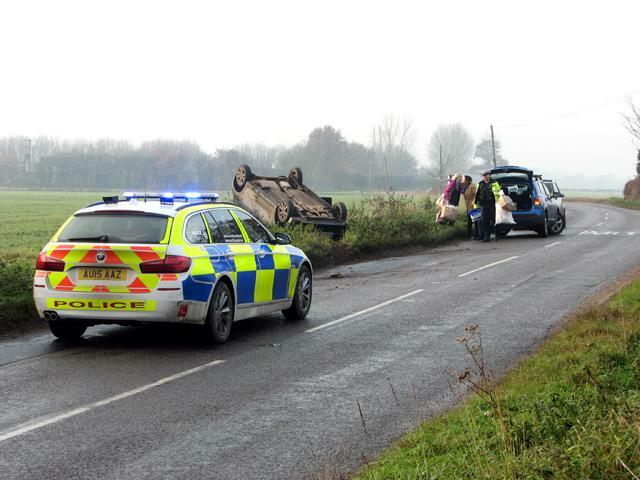 It may sound morbid, but try and snap a photo of the people at the scene while you’re taking photos of your car. If there is just the two of you and a claim has arisen for someone who was never there, you have photographic evidence of the people present at the scene of the crime. When you are driving along and observing the rules of the road, you expect others to do the same. The staged crash comes when another driver waves you on, which you thank them for, only for them to smash into the side of your car. This type of crash is harder for scammers, though, especially in a time where traffic cams are EVERYWHERE. The thing is, the scammer usually denies the fact that they waved you on, making you look like you were irresponsible. The key here is to always observe right of way and if you find yourself in the situation, then always find the cameras. Car insurance scams are no joke, be road vigilant and avoid where you can!